Learning Chinese can feel overwhelming, especially when you’re faced with the infamous Great Wall of Chinese (text). One way of making it easier is to chop it up into many bite-sized pieces. 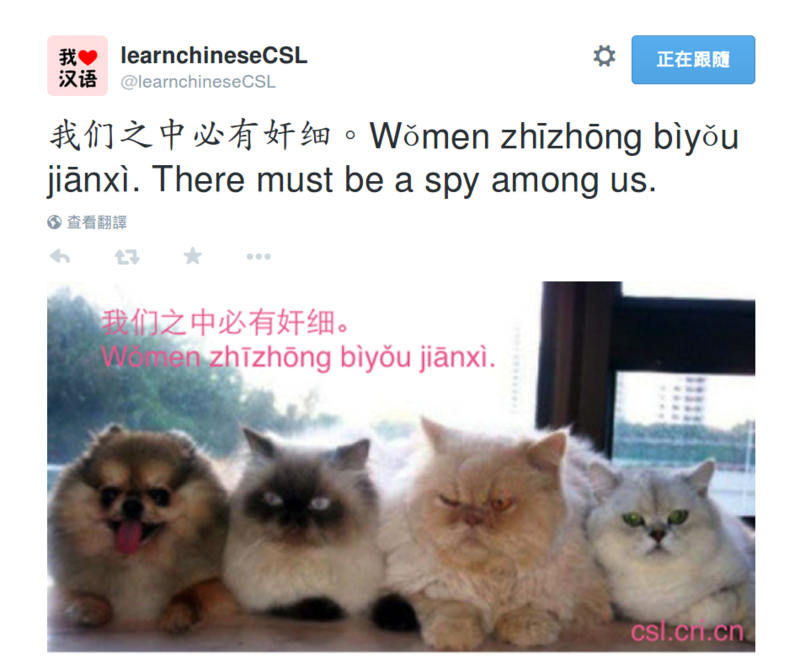 This makes Twitter an excellent place to learn a bit of Chinese without drowning. 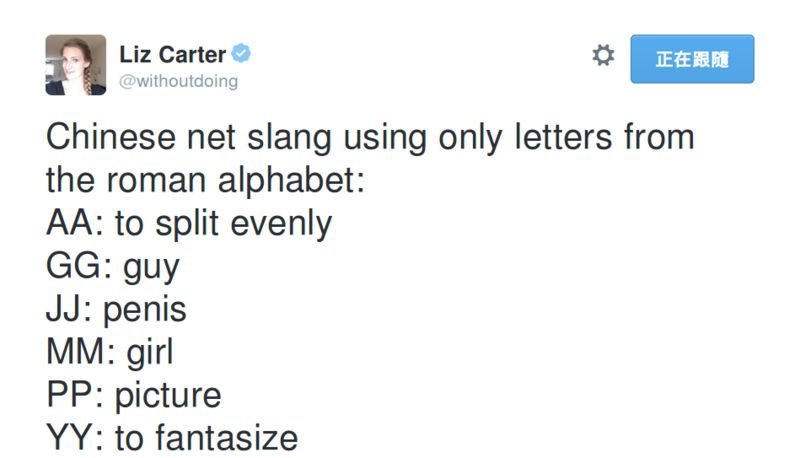 Each message is limited to 140 characters, so it can’t be that hard, can it? There’s an increasing number of people on Twitter who try to use these short messages to help you learn Chinese. 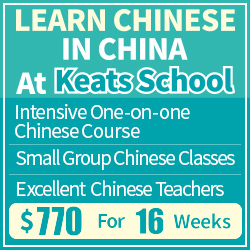 Be suitable for language learners – This means including translations, Pinyin or both. 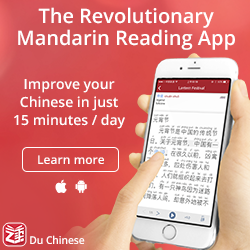 I have avoided including too many Chinese-only feeds and focused on those that are suitable for beginners and intermediate learners. Advanced learners will of course benefit too. Contain mostly Chinese language content – Some feeds contain a lot of interesting language content, but mixed up with too many other things. 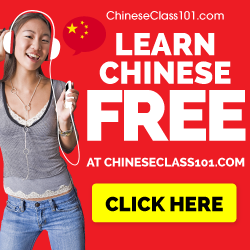 I have only included those that almost exclusively focus on Chinese language content. 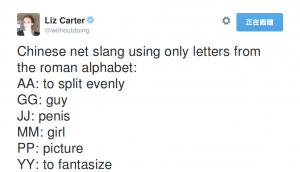 Not rely on links to be useful – Twitter is often used to share links to interesting content. For this article, I have focused on content that is meaningful and useful directly on Twitter, i.e. without having to go to an external site. 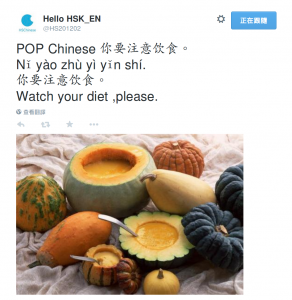 There is of course more to learning Chinese on Twitter than just language content. 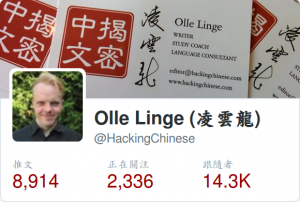 A few years ago, I wrote an article called 31 Twitter feeds to help you learn Chinese. That article is mostly obsolete now, too many users have gone inactive and many new have arrived on the scene. In that article, I included people who tweeted about language learning and studying Chinese. If you want more of that, the easiest way is to follow me on Twitter, because I share most of the interesting stuff I stumble upon. You can also follow my other list on Twitter, which is more about learning Chinese in general. These are my favourites. If you want to recommend an account that follows the above criteria, but isn’t mentioned in this article, please contact me and I’ll add that account to my watch list. Please don’t suggest accounts that only post single words unless these are terribly interesting. If you want to view all the accounts below on Twitter, click here to view my Chinese content list on Twitter! Focus: Unusual sentences with matching and fun pictures. Pinyin + translation. Simplified. Comment: Great sentence source, doesn’t clutter tweets with other things. Focus: Useful sentences with matching pictures. Pinyin + translation. Simplified. Comment: Great content. Short and to the point, easy to use elsewhere. Focus: Interesting expressions, slang or idioms. Pinyin + translation. Occasional cats. Comment: By far the most interesting content on this list. Focus: Inspirational quotes. No Pinyin. Simplified. Comment: Good sentences, sometimes a bit sentimental. Source seldom given. Focus: Useful sentences with interesting and matching pictures. Pinyin + translation. Traditional/simplified. Comment: Tweets only pictures, so much harder to copy. Carefully matched content, though. 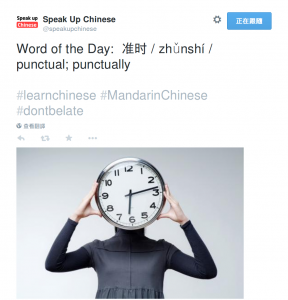 Focus: Useful sentences with pinyin and translation. Simplified. 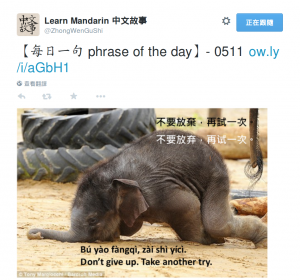 Focus: Interesting Chinese proverbs with translation. No Pinyin. Simplified. Comment: Doesn’t tweet often, but content is good, at least the proverb posts. 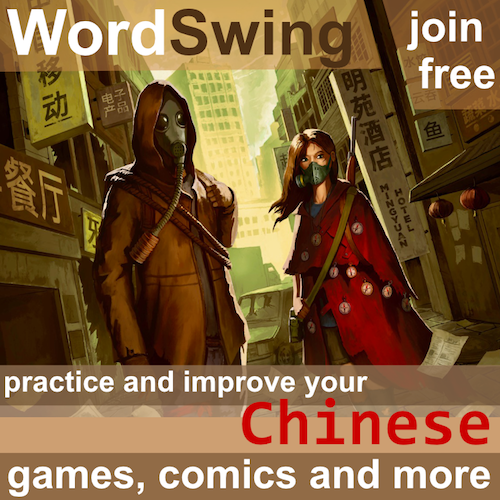 Focus: Basic, useful sentences with Pinyin and translation. Simplified. Comment: Words plus example sentence. A bit bland, but very useful. Comment: Interesting word choice (intermediate and above) with helpful pictures. That’s it for now! Have I missed anything? 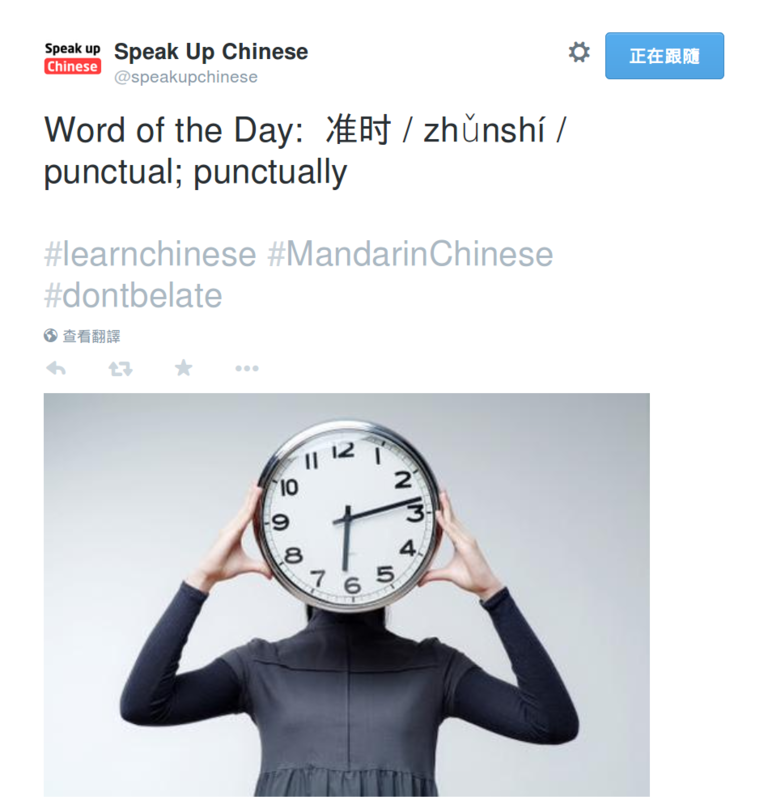 What’s your favourite Twitter feeds for learning Chinese? It would be good to see a list with only 正體字. There are very few and I only found one worth recommending (Learn Mandarin 中文故事 @ZhongWenGuShi, which offers both simplified and traditional). If you know of any high-quality traditional feeds, do let me know!